Ternstedt Manufacturing Co. was founded in 1916 by Swedish inventor Alvan K. Ternstedt, who had designed the first practical car window regulator. 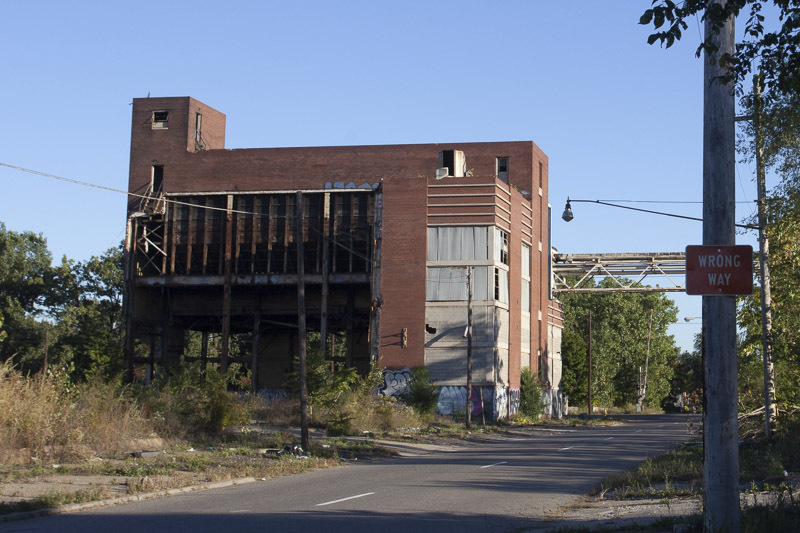 In 1917, a new factory was built at Fort and Livernois, financed in large part by the Fisher Body Company. After Ternstedt passed away, Fisher bought out the company, which became a division of Fisher Body. Ternstedt did work for GM, Ford, Chrysler and other automakers, producing window regulators, handles for doors, locks, and plated trim parts. In 1948, Ternstedt was spun off as their own division, but was folded back into the Fisher Body Guide division of GM in 1969. 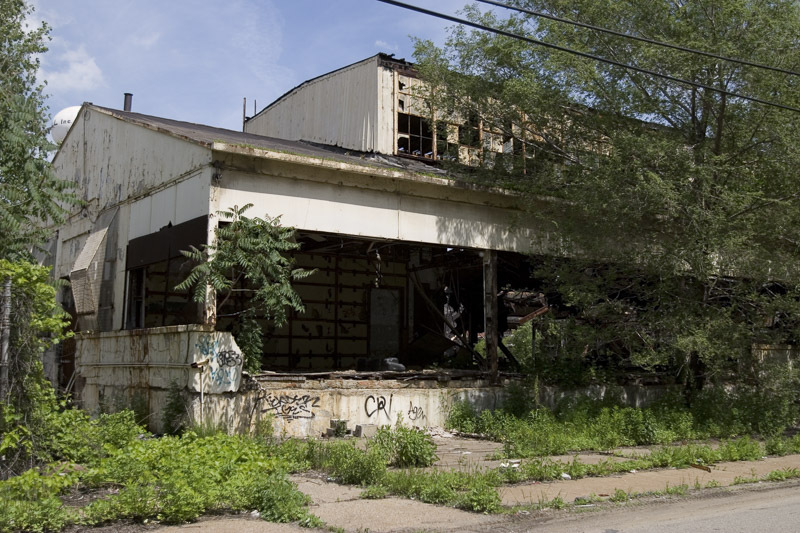 Building #14 was a single-story machine shop on the east side of Livernois. It was built sometime before 1921, possibly as part of the original factory. 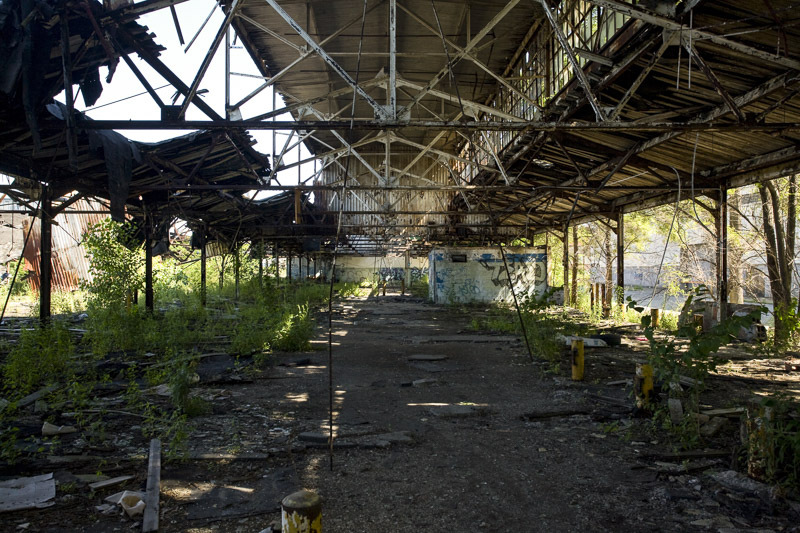 The adjacent power house was built in 1952, which supplied power and steam to the rest of the plant. 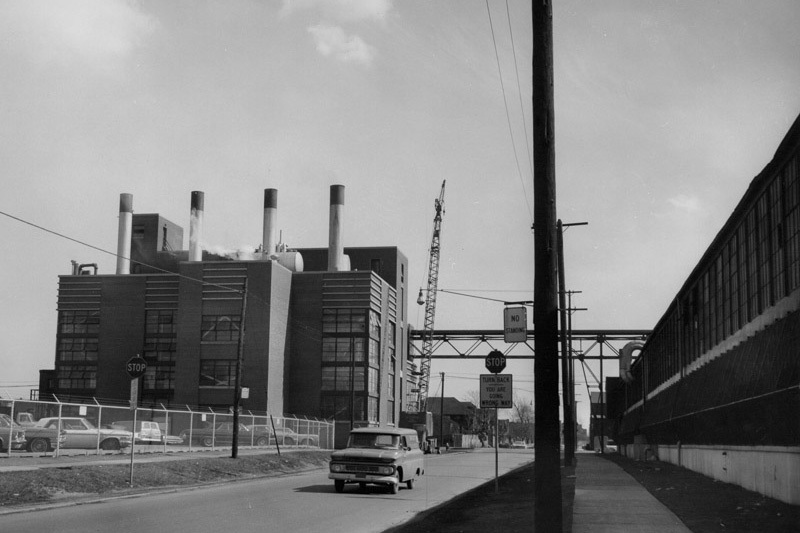 In 1964, much of the old plant west of Livernois was demolished and rebuilt as a modern 2-story factory. 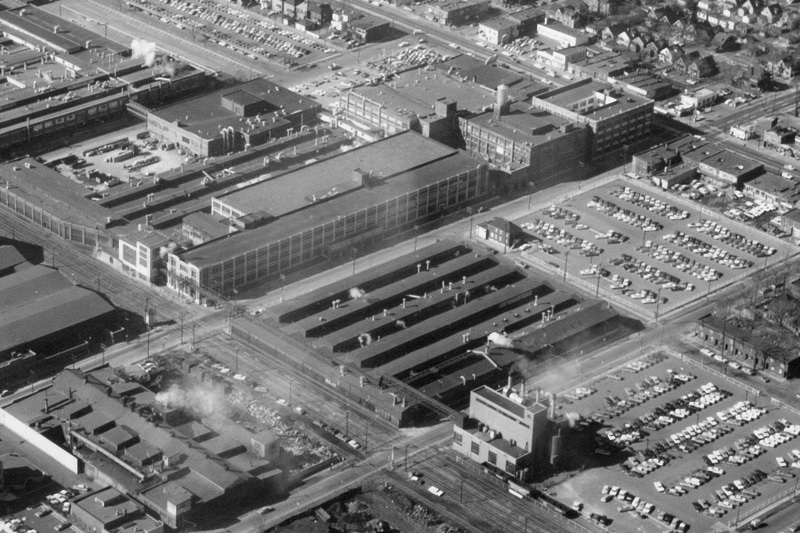 Building #14, the power plant, and the headquarters building on Fort Street remained and were modernized. 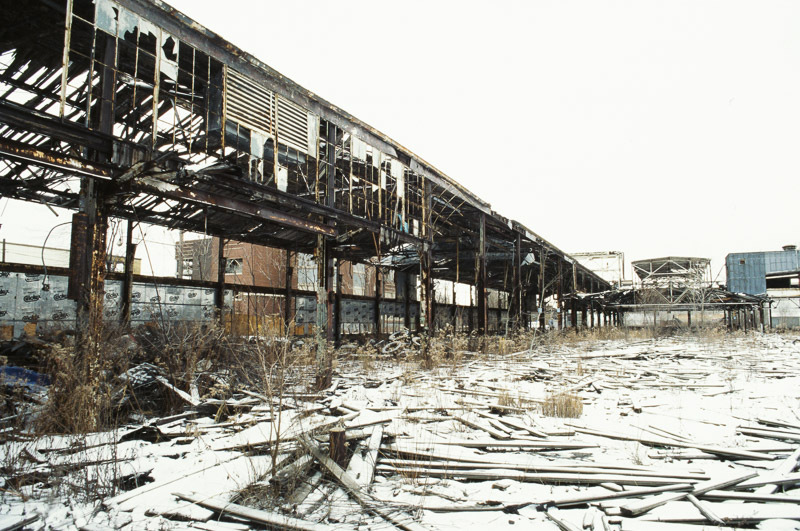 GM closed and sold the Fort / Livernois plant some time in the 1980's. 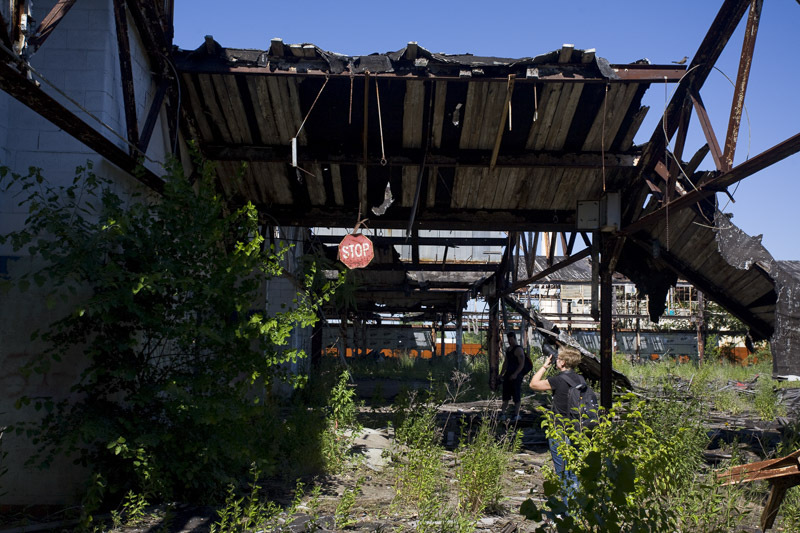 In 1991, Sybill Oil took over the site, converting the power plant into an oil recycling facility disposed of by General Motors, Rouge Steel, Ford Motor Co., and Detroit Diesel Corp. 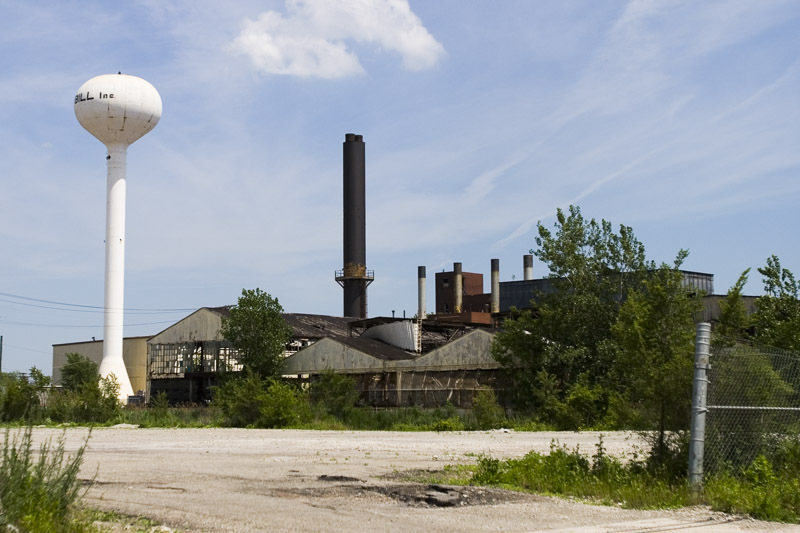 The industrial pollution and stench produced by the plant was so bad that a class-action lawsuit was filed against Sybill by residents living near the plant, who held protests in front of the factory gates. 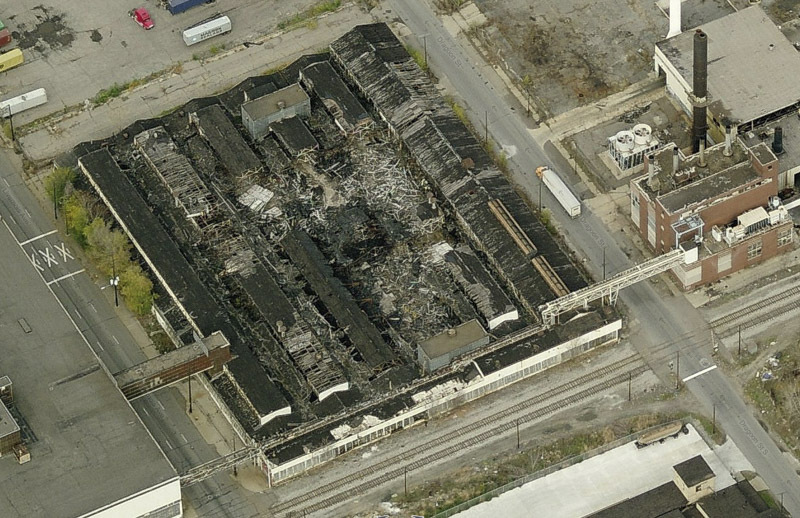 Sybill Oil went bankrupt in 2001, and closed the plant, leaving millions of gallons of contaminated water behind. 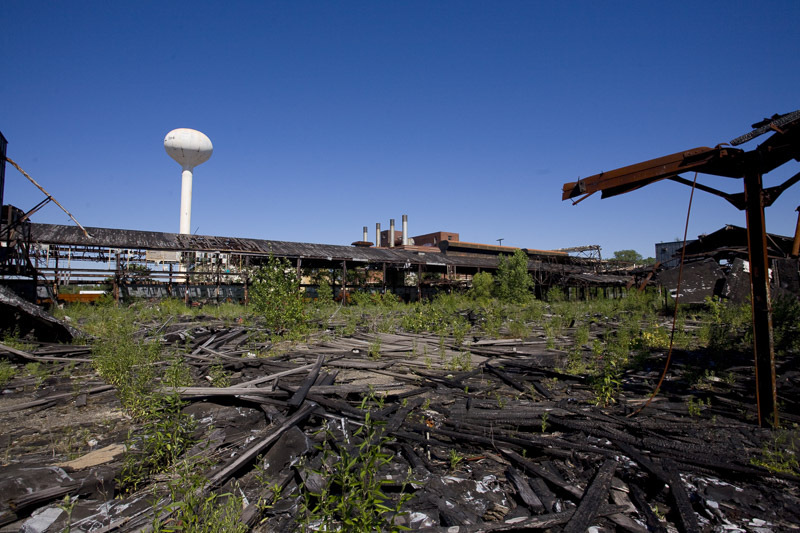 With it's close proximity to the Detroit River, the EPA stepped in and began cleanup work of the site, removing over 2 million gallons of contaminated water. 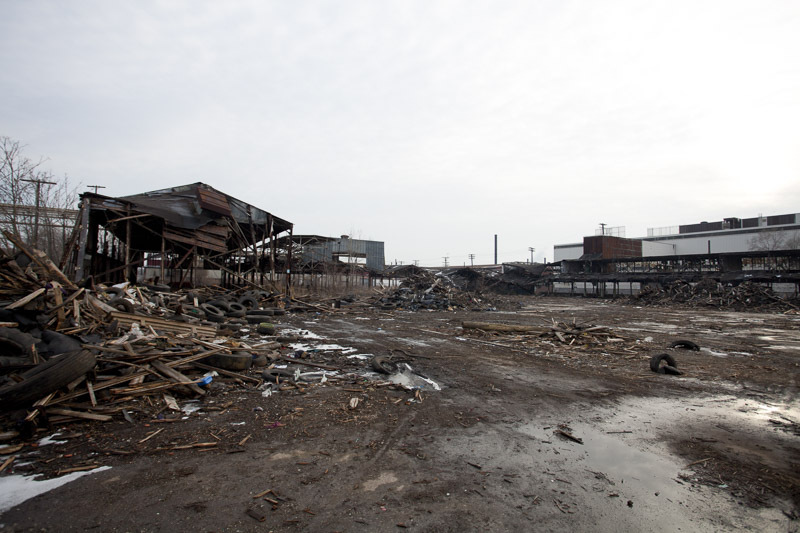 The cleanup was funded in part by GM, Rouge Steel, Ford, and other companies that had used the plant for oil recycling. Building #14 appears to have been abandoned in the 1980's or early 1990's. 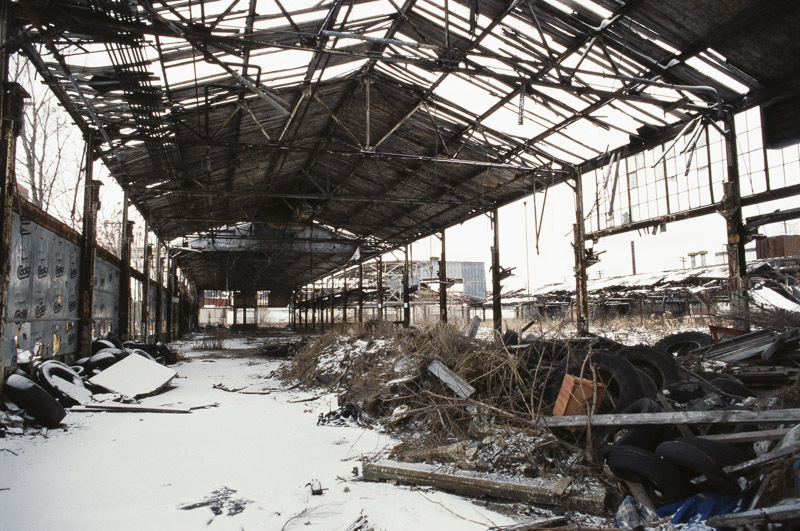 It's wood roof rapidly decayed, leaving a steel skeleton that was picked apart by scrappers. Between 2006 and 2007 the headquarters building on Fort was demolished. 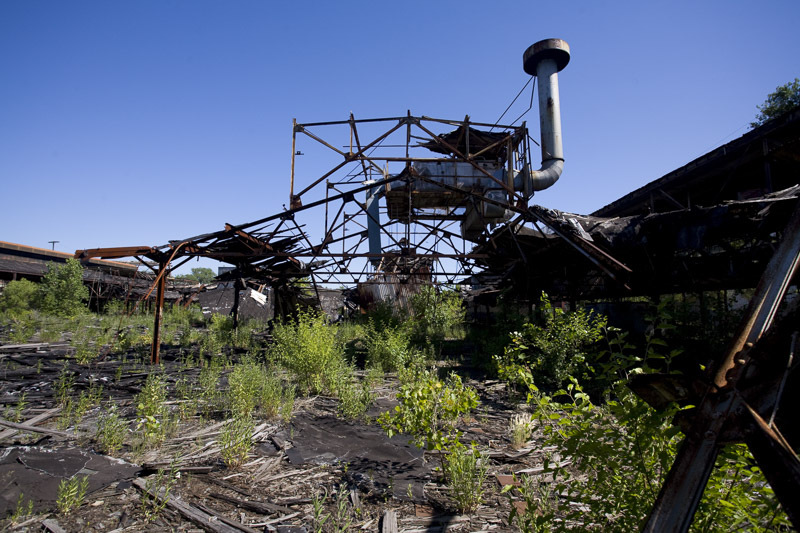 Most of the power plant was dismantled by scrappers around the same time, leaving a water tower and part of the boiler room. 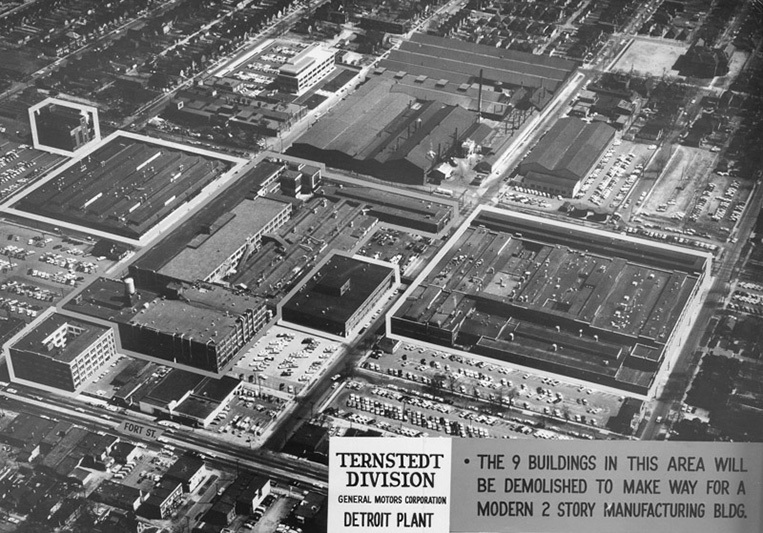 Today the more modern Ternstedt factory on the west side of Livernois is still in use as a warehouse by Evans Distribution.